Tokyo, Japan • Furutech Co., Ltd., manufacturer of analog and digital audio and video cable plus a wide range of accessories introduces a new top-of-the-line power cable – The Nanoflux. 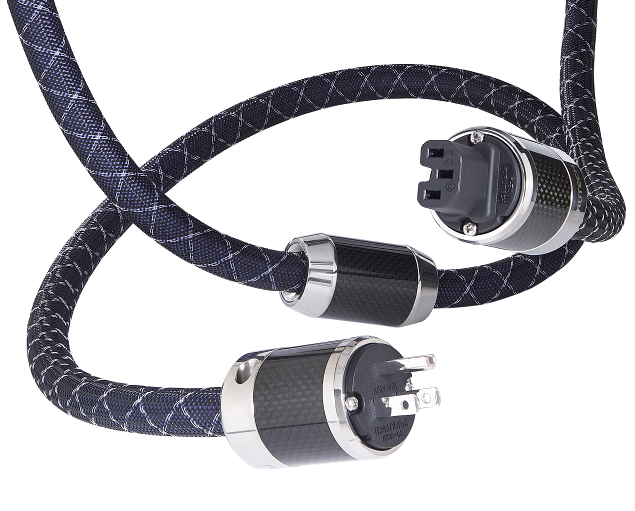 The Alpha Nano-OCC conductor in Furutech’s new Nanoflux power cable is one of the best conductors Furutech engineers have found for sound reproduction. 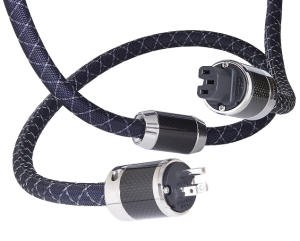 The new technology used in the highly specialized manufacturing process of this ultra-high performance power cable combines Furutech’s world renowned Alpha-OCC conductors with Furutech’s extremely effective signal transmission enhancer, Nano Liquid. Nano Liquid’s molecules are so tiny (8 nano-meters in diameter (8/1000000mm) they cover the Alpha-OCC surface and “fill up” any concave-convex sections left on the conductor surface during the production process, increasing the electric conduction area and debasing impedance. The very precise mix of gold and silver super-micro particles and amount of dispersing Squalene oil used on the conductor has great influence on the sound reproduction, and Furutech’s engineers settled on their exact ratio of gold to silver particles after careful audition of countless test samples. The resulting “tuned” cable offers superb overall balance of qualities that Furutech is known for that allows you to feel experience and communicate with music. The results are extremely fine resolution down and through the very low noise floor, improved sound staging and image palpability, a musical, attractive, “round” midrange, tight and controlled bass, plus power and dynamics to spare to set your music on fire!